Oct. 14-20 is National Veterinary Technician Week. We’re celebrating by highlighting the critical role vet techs play in providing compassionate care for sick and injured animals. More than 100 of these highly trained professionals, the veterinary equivalent of nurses, are an integral part of the medical team at the NC State Veterinary Hospital. As a veterinary technician supervisor in the hospital’s intensive care unit, Robin Lazaro is on the front lines of her profession, where she has been for nearly 30 years since completing an externship at Cornell University. She has spent her entire career working at the ICU and is the longest-serving vet tech in the college’s history. Since I started supervising I’m usually up by 5 a.m., and I check my email to see if there are any fires brewing. I head straight to the ICU and I’m here by 7 or 7:30. I usually hear, “Oh good, you’re here!” Then it’s helping support the staff with equipment or extra help or whatever needs to be done; I just jump in and help as needed. When things are under control I spend a few hours reviewing cases and scheduling staff. Because we’re dealing with very sick animals and challenging cases, there’s a lot of stress. I encourage the staff to remember to maintain their work/life balance and take time to recover, too. Everyone in the ICU has a passion for caring for sick patients and using their skills to the highest, but it can be draining. I’m a supervisor, but I’m a working supervisor so I’m still caring for animals. Helping patients get well is still the most rewarding thing about the job. As far as the supervision part of the job goes, I try to keep the staff happy. Our staff is so talented a supervisor has to earn their respect. I know what that takes, but you have to grow into the job. Maintaining a happy staff. Our work is challenging and it can get overwhelming. We deal with very sick patients, so we have to deal with death and dying. Sometimes we have to combat compassion fatigue. Everyone has to learn how to deal with it in their own way. Where I grew up in Westchester County, N.Y., my grandmother had a boarding kennel and raised great Danes. We lived right across from her. I was always over there and wanted to go into the field. If she hadn’t sold the kennel I would have stayed right there. When I got older I went to tech school and then to Cornell. I thought I wanted to become a vet. I’ve always loved academics. 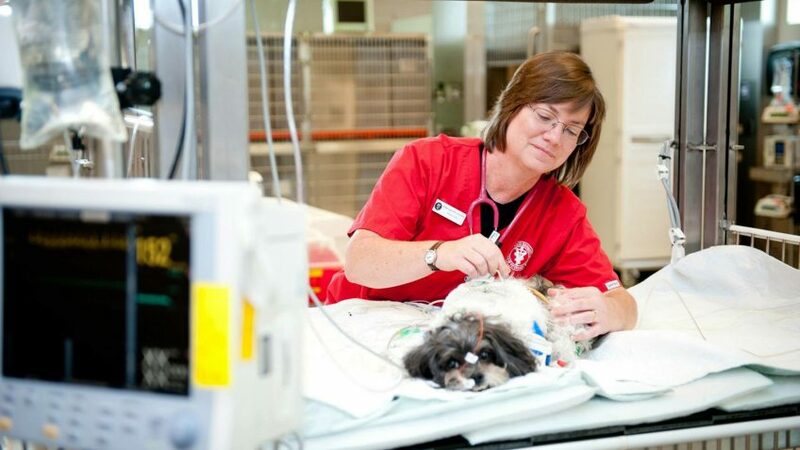 I didn’t know what the technician’s role was, but I learned that’s where you really get to care about the animals and where I found out that I loved being in the ICU. 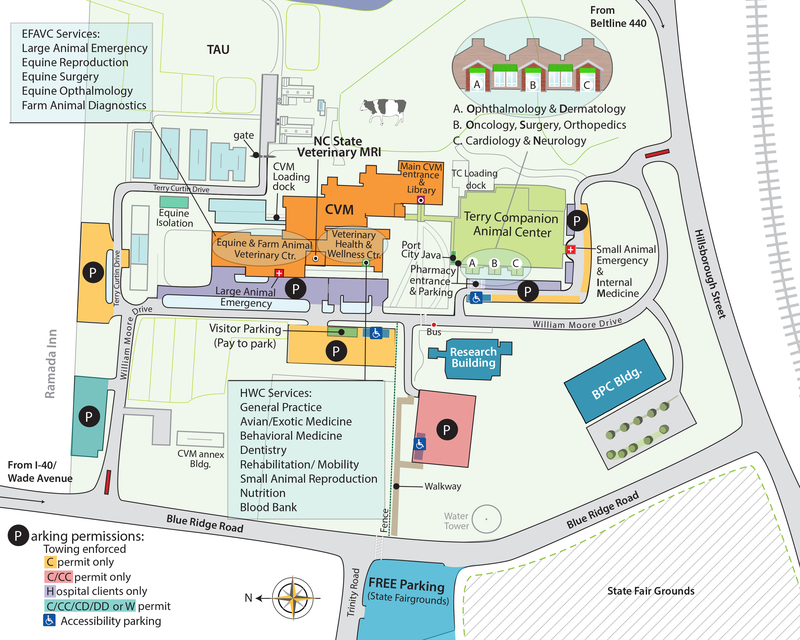 It opened my eyes to critical care. What is your most memorable professional experience? My first week in the ICU. I had a great supervisor, Karen Forbes. I failed at my first attempt to insert a catheter — I can still see that cocker spaniel — and she helped me. She was a great teacher. She taught me not to be so stressed. I learned that you take the time to train people properly until you move them into a shift. It what’s best for them and best for the department. Something else is that my current job is flexible enough that it has allowed me to serve as the one technician member of the North Carolina Veterinary Medical Board. I was appointed by the speaker of the North Carolina House of Representatives to a five-year term, and I’ve been on the board for two years. We review complaints, changes to the laws, amendments to state regulations and so on. It’s been an honor. This is the first in a series of NC State veterinary technician profiles that will run throughout the week in celebration of National Veterinary Technician Week.